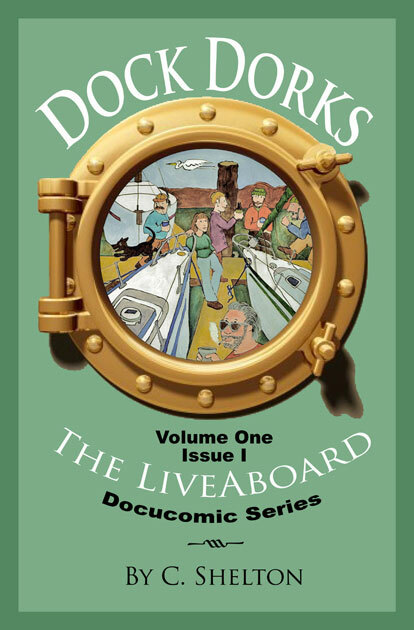 Dock Dorks is At The Printer! Printing For Less has been stellar about the whole project. They even don’t seem to mind that I am paying for it with referral points ( I am the reigning queen of referrals with them ). And once I confirm that it was good for them too, I will continue to make business and boat cards for people to start saving up to print Issue Two of The LiveAboard Series, The Berkeley Bubble. So if you haven’t gotten your 500 cards for $9.30 with free layout by moi, you can still sign up. Click here for details. If you haven’t ordered your copy of Dock Dorks, you still can do that too. Click here. There are only 1500 copies in the first printing and I’ll be taking them to APE (Alternative Press Expo) on October 13 – 14 in SF. The first 50 will be hand numbered and signed. To ward off the jitters and anxiety about the book I’ve been fiddling with a table / salon bunk project I am making out of thick red Oak from pews salvaged from a Tongan church. All is well. in the sand. 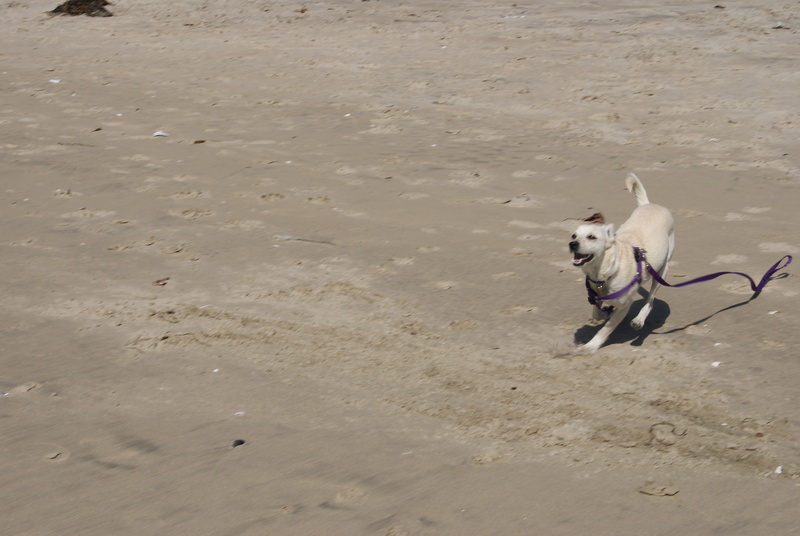 Happy dog. This entry was posted on Friday, September 14th, 2012 at 3:44 pm and is filed under Boat Improvements, Dogs and Firsts. You can feed this entry. You can leave a response, or trackback from your own site. I am so happy for you. Can’t wait to get my copy! Hey Cynthia! I’m so excited to see Dock Dorks in person! Hope we can catch up at the mixer tonight before APE gets super crazy.